In case you didn't know, today is Patriot Day, not to be confused with Patriot's Day. You can read about it HERE. (3) The people of the United States to observe a moment of silence on Patriot Day in honor of the individuals who lost their lives as a result of the terrorist attacks against the United States that occurred on September 11, 2001." The complete text of the resolution can be found HERE. "The United States loves life. We love death. That is the difference between us." I think it's very important, especially in this election year, that we remember exactly why there are hundreds of thousands of young American men and women in harms way in the middle east today. I think it's important that we not lose sight of the issue at hand - that on September 11, 2001 - now 7 years ago today - nineteen terrorists hijacked four American airplanes and crashed them into both to wers of the World Trade Center in New York City and the Pentagon in Washington, D.C., slaughtering nearly 3,000 innocent men, women and children. The fourth was headed for another target in Washington - perhaps the Capitol building or the White House - but was diverted when brave passengers attempted to take back the plane and it crashed in a field in Pennsylvania. I thought it might help you remember by presenting a few photos of just a few of the nearly 3,000 people killed in those attacks. CNN.com is maintaining a web site dedicated to the victims of September 11, 2001. There's a link to it over on the right and you can also reach it by clicking HERE. I've extracted a few photos from that site to help you remember. Please visit the site and look at those photos and read the tributes to the folks we lost that day. Christine Lee Hanson was the youngest person to die in the September 11, 2001 attacks. 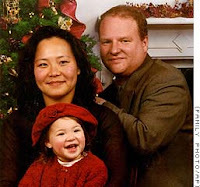 She was two years old at the time and was vaporized, along with her parents, Peter Hanson and Sue Kim-Hanson, as United Flight 175 tore through the South Tower of the World Trade Center. 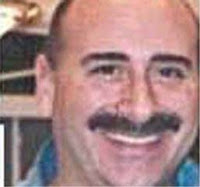 Andrew Abate and Vincent Abate were brothers who worked as bond traders at the firm of Cantor, Fitzgerald. They were two of more than 600 members of that firm that died in the terrorist attack while at work. 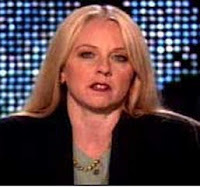 Barbara K. Olson, 45 at the time of her death, was a well-known television political commentator representing the conservative Republican point of view and the wife of Theodore B. Olson, Solicitor General of the United States. She was on the telephone with her husband as American Airlines Flight 77 dove into the Pentagon. 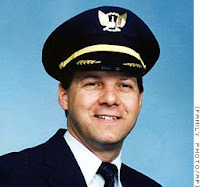 Jason Dahl was the 43 ye ar old captain of United Airlines Flight 93, which was diverted by a heroic group of passengers who tried to re-take the plane before it could reach it's intended target in Washington, D.C. and crashed in a remote Pennsylvania pasture, killing all aboard. 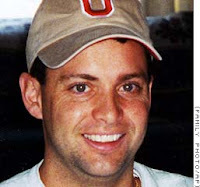 Todd M. Beamer was a 32 year old account manager for Oracle Corporation when he boarded United Flight 93 that morning, headed for San Francisco. 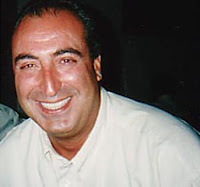 He was the young father of two children, with his third born in January, 2002. Beamer will forever be remembered for his heroic exhortation, "Let's Roll!" to his fellow passengers as they charged the cockpit in an attempt to retake the plane from the terrorists. As you look at those photographs and read those snippets of the lives snuffed out on September 11, 2001, please take a moment of silence to reflect on why we cannot relax and let up our guard for a second. Those people didn't simply die in their sleep - they were either instantly incinerated, leaped to their death to escape the flames or were shredded and turned to dust as the towers imploded. To this day, identifiable body parts are still being found at the site of this horrific tragedy. Osama bin Ladin and his followers have dedicated themselves to destroy our country. The beheading of Nick Berg and the murder of Daniel Pearl demonstrate their resolve. Re-read that quote from him at the top of the page and think about the choices we face in November. According to all credible reports, The Surge initiated by General David Petraeus is working. Headway is being made in Iraq, but Afghanistan continues to go from simmer to full boil and back again. For my part, I think it's very important to have a President of the United States who understands the horror of war - someone who understands fully that we fight wars to win. Now is not the time for a trainee in the White House - a man with no executive experience, nor any military experience, at all. However you decide to vote, please understand that the very future of our country depends on the wisdom and experience of those we elect to lead it. Above all, remember those innocent men, women and children who lost their lives on September 11, 2001, and those brave young Americans who have volunteered to protect this country by serving in the military. We, and they, deserve experienced leadership. NEVER FORGIVE AND NEVER FORGET!